Please see attached article put out by our senior PHS PA colleagues that was forwarded by the Physician Assistant Professional Advisory Group (PAPAG) Chair. We want to apprise you of the following developments. This message will be posted on social media and our AAPA website later today. Should you have any questions, please do not hesitate to reach out to our CEO, Jenna Dorn (jdorn@aapa.org or 571.319.4301) or BOD Chair Josanne Pagel (jpagel@aapa.org). This Board action is the next step in exploring and gathering information about establishing a new certifying body. It will be a thorough and thoughtful process. This announcement in no way changes the current CME, certification or recertification, process -- PAs should continue to prepare for and comply with NCCPA's requirements. On October 15, 2016, landscaping and construction will begin to upgrade the Veteran Memorial Garden at the Eugene A. Stead, Jr. Center for Physician Assistants into a place of remembrance for Physician Assistants who are veterans or who are currently serving in the uniformed services of the USA. The PA History Society welcomes all to become a part of this wonderful event by purchasing name engraved brick pavers to be embedded in the wheelchair accessible walkway and the patio area surrounding the life-size bronze combat medic statue and flagpole, the centerpiece of the garden. Beginning July 1st 2016 through October 1, 2016 we are offering the opportunity to purchase a 9x9 inch named engraved brick pavers to PAs who are veterans or who are on active duty for $100 each. We have the capacity to embed 400 pavers in the sidewalk and patio, so please do not delay in purchasing pavers so that your name or that of someone you want to honor is displayed prominently in the garden. The insignia of your branch of service, name and date of service can be engraved on the paver. For more information on this project, and to order your pavers, please visit the PA History Website at http://pahx.org/. Full summary of all the actions and final votes from the AAPA House of Delegates 2016 in San Antonio, Texas at the link below. 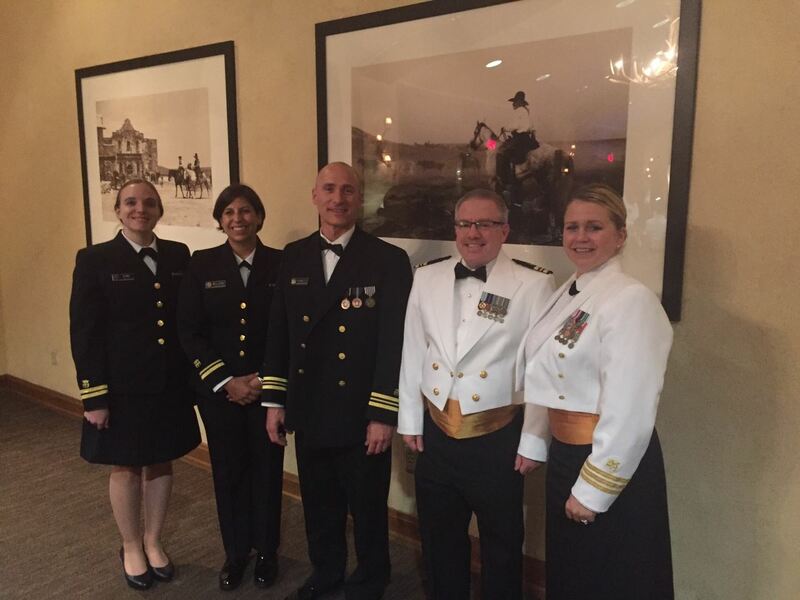 All PHS Physician Assistants as well as Federal Service PAs were represented by the PHSAPA HOD Delegation. The 2015 - 2016 Leadership Year will draw to a close on June 30th 2016. On July 1st, the newly elected PHSAP Board of Directors will assume responsibility of their duties and the organization. Find out more during the PHSAPA Conference Call on Wed, June 22nd - please see the Events page for more information. 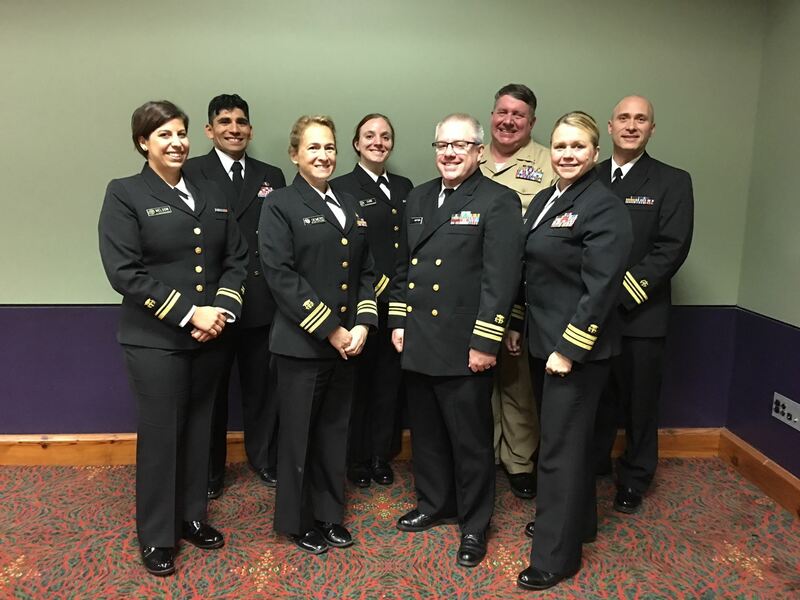 PHSAPA Board of Directors group photo at the Federal Services Dining Out in San Antonio, Texas.